Description / Table of Contents: This volume combines original data in various fields from the offshore Levant Basin and adjacent continental slopes and platforms. The first group of papers document the tectonic structures and sedimentological patterns associated with the development of the Levant Basin. They identify the successive rifting events from the Late Palaeozoic to the Early Cretaceous, followed by a moderate tectonic activity. The contribution of external factors like global sea-level and climate changes to the sedimentation processes during the Mid-Cretaceous is discussed in the second set of papers. The final group presents new kinematics and age constraints on the Late Cretaceous to Neogene tectonic phases and discusses the relationship of the structures with the closure of the Neo-Tethys and separation of the Arabia plate. This collection of research papers demonstrates new concepts on the opening and crustal thinning of the Levant Basin and gives updated interpretations of the latter tectonic structures of the Levant. Geological Society (London, U.K.) ; Jolley, S. J. ; Fisher, Q. J. ; [et al.] Ainsworth, R. B. ; Vrolijk, P. J. ; Delisle, S.
Description / Table of Contents: Reservoir compartmentalization - the segregation of a petroleum accumulation into a number of individual fluid/pressure compartments - controls the volume of moveable oil or gas that might be connected to any given well drilled in a field, and consequently impacts ‘booking’ of reserves and operational profitability. This is a general feature of modern exploration and production portfolios, and has driven major developments in geoscience, engineering and related technology. Given that compartmentalization is a consequence of many factors, an integrated subsurface approach is required to better understand and predict compartmentalization behaviour, and to minimize the risk of it occurring unexpectedly. This volume reviews our current understanding and ability to model compartmentalization. It highlights the necessity for effective specialist discipline integration, and the value of learning from operational experience in: detection and monitoring of compartmentalization; stratigraphic and mixed-mode compartmentalization; and fault-dominated compartmentalization. Description / Table of Contents: Australian Landscapes provides an up-to-date statement on the geomorphology of Australia. Karst, desert, bedrock rivers, coasts, submarine geomorphology, biogeomorphology and tectonics are all covered, aided by the latest geochronological techniques and remote sensing approaches. The antiquity and enduring geomorphological stability of the Australian continent are emphasized in several chapters, but the cutting-edge techniques used to establish that stability also reveal much complexity, including areas of considerable recent tectonic activity and a wide range of rates of landscape change. Links to the biological sphere are explored, in relation both to the lengthy human presence on the continent and to a biota that resulted from Cenozoic aridification of the continent, dated using new techniques. New syntheses of glaciation in Tasmania, aridification in South Australia and aeolian activity all focus on Quaternary landscape evolution. This major synthesis of Australian geomorphology is dedicated to Professor John Chappell (The Australian National University) and Professor Martin Williams (University of Adelaide). Description / Table of Contents: Climate change is beginning to have effects on climate, weather and resource availability in ways that need to be anticipated when planning for the future. In particular, changes in rainfall patterns and temperature may impact the intensity or schedule of water availability. Also the retreat of tropical glaciers, the drying of unique Andean wetland ecosystems, as well as increased weather variability and weather extremes will affect water regulation. These changes have the potential to impact the energy and other sectors, such as agriculture, and could have broader economic effects. Anticipating the impacts of climate change is a new frontier. There are few examples of predictions of the impact of climate change on resource availability and even fewer examples of the applications of such predictions to planning for sustainable economic development. However, having access to an effective methodology would allow planners and policy makers to better plan for adaptation measures to address the consequences of climate change on the power and water sectors. This report presents a summary of the efforts to develop methodological tools for the assessment of climate impacts on surface hydrology in the Peruvian Andes. It is targeted to decision makers in Peru and in other countries to give them guidance on how to choose available and suitable tools and make an assessment of climate impacts on water regulation. Description / Table of Contents: Energy is intrinsic to urban settlements, embedded in the built environment, and directly used to power socio-economic activity, transport and communications, and enable the provision of municipal services. In response to the crucial role of urban energy efficiency for environmentally sustainable and inclusive development processes, ESMAP’s Energy Efficient Cities Initiative (EECI) was launched in October 2008 to facilitate the implementation of practical energy solutions that meet the development priorities of cities, and simultaneously build their climate resilience. Chapter 1 begins with a contextual background on the inter-related associations between energy, socio-economic progress and urbanization. This edited volume compiles seven topical papers presented at the two EECI sponsored sessions during the World Bank’s fifth Urban Research Symposium, held at Marseille, France, June 28-30, 2009. Chapters 2–8 comprise the papers presented at these sessions: i) tools and assessment approaches on energy efficient urban development, and ii) good practices that promote low carbon sectoral interventions. The analytical tools and policy insights offered in this volume extend from integrated assessments of new cities to the impacts of socio-economic, climate and demographic changes on existing cities. Sector-specific interventions are discussed in the context of tools to ‘green’ buildings in Australia, the transformation to efficient lighting systems in the Philippines, and Demand Responsive Transport Systems in France. In addition, the documentation and benchmarking of a variety of low-carbon and carbon neutral good practices provides a range of practical insights on plausible energy efficient interventions in urban sectors. Thus the chapters in this publication comprise significant contributions to the ESMAP objective of mainstreaming and leveraging knowledge and initiatives on urban energy efficiency. Following from them, the last chapter 9 provides a contextual overview of ESMAP’s programmatic priorities to support energy efficient urban growth, to be effected through EECI. Description / Table of Contents: Human impact on our environment is not a new phenomenon. For millennia, humans have been coping with – or provoking – environmental change. We have exploited, extracted, over-used, but also in many cases nurtured, the resources that the geosphere offers. Geoarchaeology studies the traces of human interactions with the geosphere and provides the key to recognizing landscape and environmental change, human impacts and the effects of environmental change on human societies. This collection of papers from around the world includes case studies and broader reviews covering the time period since before modern human beings came into existence up until the present day. To understand ourselves, we need to understand that our world is constantly changing, and that change is dynamic and complex. Geoarchaeology provides an inclusive and long-term view of human–geosphere interactions and serves as a valuable aid to those who try to determine sustainable policies for the future. Description / Table of Contents: This study from the Independent Evaluation Group draws lessons for development and climate change mitigation from the World Bank Group’s far-reaching portfolio of projects in energy, forestry, transport, coal power, and technology transfer. Reviewing what has worked, what hasn’t, and why, the evaluation’s key findings include: Energy efficiency can offer countries direct economic returns that dwarf those of most other development projects, while also reducing greenhouse gas emissions. Tropical forest protected areas, on average, significantly reduce tropical deforestation, preserving carbon and biodiversity. Deforestation rates are lower in areas that allowed sustainable use by local populations than in strictly protected areas. Deforestation rates were lowest of all in indigenous forest areas. For renewable energy projects, long-duration loans have been important in making projects financially viable.. But at prevailing carbon prices, carbon offset sales had little impact on most renewable energy projects’ rate of returns, and did not address investors’ need for up-front capital. Technology transfer – broadly understood to include diffusion of technical and financial innovations related to low-carbon development – has worked well when the logic of piloting and demonstration is well thought out, and when grants are used to mitigate the risk of pioneering efforts. Description / Table of Contents: While the energy sector is a primary target of efforts to arrest and reverse the growth of greenhouse gas emissions and lower the carbon footprint of development, it is also expected to be increasingly affected by unavoidable climate consequences from the damage already induced in the biosphere. Energy services and resources, as well as seasonal demand, will be increasingly affected by changing trends, increasing variability, greater extremes and large inter-annual variations in climate parameters in some regions. All evidence suggests that adaptation is not an optional add-on but an essential reckoning on par with other business risks. Existing energy infrastructure, new infrastructure and future planning need to consider emerging climate conditions and impacts on design, construction, operation, and maintenance. Integrated risk-based planning processes will be critical to address the climate change impacts and harmonize actions within and across sectors. Also, awareness, knowledge, and capacity impede mainstreaming of climate adaptation into the energy sector. However, the formal knowledge base is still nascent—information needs are complex and to a certain extent regionally and sector specific. This report provides an up-to-date compendium of what is known about weather variability and projected climate trends and their impacts on energy service provision and demand. It discusses emerging practices and tools for managing these impacts and integrating climate considerations into planning processes and operational practices in an environment of uncertainty. It focuses on energy sector adaptation, rather than mitigation which is not discussed in this report. This report draws largely on available scientific and peer-reviewed literature in the public domain and takes the perspective of the developing world to the extent possible. Description / Table of Contents: Despite agreement on first-order features and mechanisms, critical aspects of the origin and evolution of the Tibetan Plateau, such as the exact timing and nature of collision, the initiation of plateau uplift, and the evolution of its height and width, are disputed, untested or unknown. This book gathers papers dealing with the growth and collapse of the Tibetan Plateau. The timing, the underlying mechanisms, their interactions and the induced surface shaping, contributing to the Tibetan Plateau evolution are tightly linked via coupled and feedback processes. We present interdisciplinary contributions allowing insight into the complex interactions between lithospheric dynamics, topography building, erosion, hydrological processes and atmospheric coupling. The book is structured in four parts: early processes in the plateau formation; recent growth of the Tibetan Plateau; mechanisms of plateau growth; and plateau uplift, surface processes and the monsoon. Description / Table of Contents: Companies are increasingly aware of the need to address climate change. However, while many companies are taking action to address climate change, many others are still lagging behind. This report surveys responsible business practices addressing climate change and driving the shift to a low-carbon economy. It summarises policies, regulations and other instruments in support of a low-carbon economy in OECD countries and emerging economies, and analyses corporate responses to these drivers. Using the principles of responsible business conduct identified in the OECD Guidelines for Multinational Enterprises, this report reviews three key areas of corporate action: accounting for greenhouse gas emissions; achieving emissions reductions; and engaging suppliers, consumers and other stakeholders. Description / Table of Contents: Frontiers in Geofluids is a collection of invited papers chosen to highlight recent developments in our understanding of geological fluids in different parts of the Earth, and published to mark the first ten years of publication of the journal Geofluids. The scope of the volume ranges from the fundamental properties of fluids and the phase relationships of fluids encountered in nature, to case studies of the role of fluids in natural processes. New developments in analytical and theoretical approaches to understanding fluid compositions, fluid properties, and geological fluid dynamics across a wide range of environments are included. A recurrent theme of research published in Geofluids is the way in which similar approaches can be applied to geological fluids in very different settings and this is reflected in the diverse range of applications of fluid studies that are included here. They include deep groundwater flow, hydrocarbons in faulted sedimentary basins, hydrothermal ores, and multiphase flow in mid-ocean ridge systems. Other topics covered are geothermal waters, crustal metamorphism, and fluids in magmatic systems. The book will be of great interest to researchers and students interested in crustal and mantle fluids of all sorts. Description / Table of Contents: This study on Poland is part of the World Bank's series of low-carbon growth studies. It poses the question of how Poland, an EU member state, an industrialized 'Annex I' country for the purposes of international climate discussions,1 and an OECD member, can transition to a low emissions economy as successfully as it underwent transition to a market economy in the early 1990s. With a broad consensus that global coordinated action is needed to prevent dangerous climate change estimated to cost about 1 percent of global GDP) and with EU policies on climate change already in place, Poland faces immediate policy challenges. Could the country commit to more ambitious overall greenhouse gas mitigation targets for the longer term - to 2030 and beyond? What technological options are available, and how expensive are they compared with existing technologies? Would there be high costs in lost growth and employment? Over a shorter horizon, to 2020, what are the implications for Poland of implementing EU policies on climate change? The report addresses these questions while advancing the approach of the Bank's low carbon studies by integrating 'bottom-up' engineering analysis with 'top-down' economy-wide modeling. Description / Table of Contents: This Study explores arguments about the impact of climate change on human rights, examining the international legal frameworks governing human rights and climate change and identifying the relevant synergies and tensions between them. It considers arguments about (i) the human rights impacts of climate change at a macro level and how these impacts are spread disparately across countries; (ii) how climate change impacts human rights enjoyment within states and the equity and discrimination dimensions of those disparate impacts; and (iii) the role of international legal frameworks and mechanisms, including human rights instruments, particularly in the context of supporting developing countries’ adaptation efforts. The Study surveys the interface of human rights and climate change from the perspective of public international law. It builds upon the work that has been carried out on this interface by reviewing the legal issues it raises and complementing existing analyses by providing a comprehensive legal overview of the area and a focus on obligations upon States and other actors connected with climate change. The objective has therefore been to contribute to the global debate on climate change and human rights by offering a review of the legal dimensions of this interface as well as a survey of the sources of public international law potentially relevant to climate change and human rights in order to facilitate an understanding of what is meant, in legal terms, by 'human rights impacts of climate change' and help identify ways in which international law can respond to this interaction. This is a complex and dynamically evolving legal and policy landscape and this study aims to capture its most salient features insofar as they appear at present. Description / Table of Contents: Understanding the sediments deposited by glaciers or other cold-climate processes assumes enhanced significance in the context of current global warming and the predicted melt and retreat of glaciers and ice sheets. This volume analyses glacial, proglacial and periglacial settings focusing, among others, on sedimentation at termini of tidewater glaciers, on hitherto not-well-understood high-mountain features, and on sediments such as slope and aeolian deposits whose clasts were sourced in glacial and periglacial regions, but have been transported and deposited by azonal processes. Difficulties are thus often encountered in inferring Pleistocene and pre-Pleistocene cold-climate conditions when the sedimentary record lacks many of the specific diagnostic indicators. 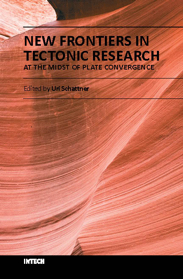 The main objective of this volume is to establish the validity and limitations of the evidence that can be obtained from widely distributed clastic deposits, in order to achieve reliable palaeogeographic and palaeoclimatic reconstructions. At a more general level and on the much longer geological timescale, an understanding of ice-marginal and periglacial environments may better prepare us for the unavoidable reversal towards cooler and perhaps even glacial times in the future. Description / Table of Contents: The past decade has witnessed a major global shift in thinking about water, including the role that water infrastructure plays in sustainable development. This rethinking aims to balance better the social, economic, and environmental performance aspects in the development and management of large dams. Infrastructure strategies must complement strategies for water, environment, and energy security and for emerging concerns to reduce vulnerability in water resource systems to climate change on the horizon. Communication is central to multi-stakeholder dialogue and partnerships at all levels needed to achieve sustainability and governance reform in water resource management and infrastructure provision. At the same time, communication drives the advocacy to mobilize political will and public support for beneficial change and continuous improvement in practices. This case study emphasizes that is not only important to mobilize all opportunities to reconcile water demand and supply in river basins that are coming under increasing levels of water stress, but also to integrate effectively governance and anti-corruption reforms and sustainability improvements into all stages of the planning and project cycle - adding value for stakeholders. Description / Table of Contents: This book provides the latest knowledge and practice in responding to the challenge of climate change in cities. Case studies focus on topics such as New Orleans in the context of a fragile environment, a framework to include poverty in the cities and climate change discussion, and measuring the impact of GHG emissions. Description / Table of Contents: Three-dimensional climate models with a fully interactive representation of stratospheric ozone chemistry — otherwise known as stratosphere-resolving chemistry-climate models (CCMs) — are key tools for the attribution and prediction of stratospheric ozone changes arising from the combined effects of changes in the amounts of greenhouse gases (GHG) and ozone-depleting substances (ODS). These models can also be used to infer potential effects of stratospheric changes on the climate of the troposphere. In order to know how much confi dence can be placed in the results from the CCMs, both individually and collectively, it is necessary to assess their performance by comparison with observations and known physical constraints. The Stratospheric Processes And their Role in Climate (SPARC) core project of the World Climate Research Programme (WCRP) initiated the CCM Validation (CCMVal) activity in 2003 to coordinate exactly such an evaluation. The CCMVal concept (see Chapter 1) takes as a starting point the premise that model performance is most accurately assessed by examining the representation of key processes, rather than just the model’s ability to reproduce long-term ozone trends, as the latter can be more easily tuned and can include compensating errors. Thus a premium is placed on high-quality observations that can be used to assess the representation of key processes in the models. This Report does not provide a detailed assessment of the quality of the observational databases; the compilation and assessment of data sets suitable for model evaluation is the focus of a future SPARC activity, which has been motivated by this Report. The fi rst round of CCMVal (CCMVal-1) evaluated only a limited set of key processes in the CCMs, focusing mainly on dynamics and transport. This Report, which describes the second round of CCMVal (CCMVal-2), represents a more complete effort by CCMVal to assess CCM performance. As with CCMVal-1, it also includes an assessment of the extent to which CCMs are able to reproduce past observations in the stratosphere, and the future evolution of stratospheric ozone and climate under one particular scenario. A key aspect of the model evaluation within this Report is the application of observationally-based performance metrics to quantify the ability of models to reproduce key processes for stratospheric ozone and its impact on climate. The Report is targeted at a variety of users, including: (1) international climate science assessments, including the WMO/ UNEP Ozone Assessments and the IPCC Assessment Reports; (2) the CCM groups themselves; (3) users of CCM simulations; (4) measurement and process scientists who wish to help improve CCM evaluation; (5) space agencies and other bodies involved in the Global Climate Observing System. The Report was prepared by dozens of scientists and underwent several revisions and extensive peer review, culminating in a Final Review Meeting in Toledo, Spain on November 9-11, 2009. Singh, Vijay P. ; Singh, Pratap ; Haritashya, Umesh K.
Description / Table of Contents: The earth’s cryosphere, which includes snow, glaciers and ice caps, ice sheets, ice shelves, sea ice, river and lake ice, and frozen ground, contains about 75% of the earth’s fresh water. It exists at almost all latitudes, from the tropics to the poles, and plays a vital role in controlling the global climate system. It also provides direct visible evidence of the effect of climate change, and, therefore, requires proper understanding of the complex dynamics. This encyclopedia mainly focuses on the various aspects of snow, ice and glaciers, but also covers other cryospheric branches, and provides an up-to-date information and basic concepts on relevant topics. It includes alphabetically arranged and professionally written, comprehensive and authoritative academic articles by well-known international experts in individual fields. The encyclopedia contains a broad spectrum of topics, ranging from the atmospheric processes responsible for snow formation; transformation of snow to ice and changes in their properties; classification of ice and glaciers and their worldwide distribution; glaciation and ice ages; glacier dynamics; glacier surface and subsurface characteristics; geomorphic processes and landscape formation; hydrology and sedimentary systems; permafrost degradation; hazards caused by cryospheric changes; and trends of glacier retreat on the global scale along with the impact of climate change. This book can serve as a source of reference at the undergraduate and graduate level and help better understand snow, ice and glaciers. This will also be an indispensable tool containing specialized literature for geologists, geographers, climatologists, hydrologists, and water resources engineers; as well as to those who are engaged in the practice of agricultural and civil engineering, earth sciences, environmental sciences and engineering, ecosystem management, and other relevant subjects. Description / Table of Contents: Increase in electricity demand and environmental issues resulted in fast development of energy production from renewable resources. In the long term, application of RES can guarantee the ecologically sustainable energy supply. 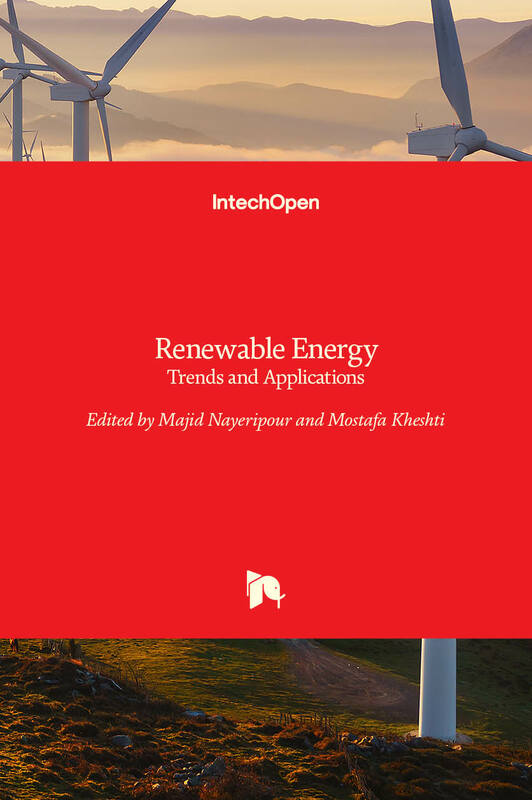 This book indicates recent trends and developments of renewable energy resources that organized in 11 chapters. It can be a source of information and basis for discussion for readers with different backgrounds. 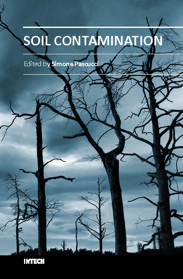 Description / Table of Contents: This book provides an interdisciplinary view of how to prepare the ecological and socio-economic systems to the reality of climate change. Scientifically sound tools are needed to predict its effects on regional, rather than global, scales, as it is the level at which socio-economic plans are designed and natural ecosystem reacts. The first section of this book describes a series of methods and models to downscale the global predictions of climate change, estimate its effects on biophysical systems and monitor the changes as they occur. To reduce the magnitude of these changes, new ways of economic activity must be implemented. The second section of this book explores different options to reduce greenhouse emissions from activities such as forestry, industry and urban development. However, it is becoming increasingly clear that climate change can be minimized, but not avoided, and therefore the socio-economic systems around the world will have to adapt to the new conditions to reduce the adverse impacts to the minimum. The last section of this book explores some options for adaptation. 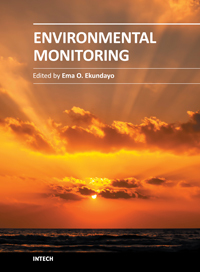 Description / Table of Contents: "Environmental Monitoring" is a book designed by InTech - Open Access Publisher in collaboration with scientists and researchers from all over the world. The book is designed to present recent research advances and developments in the field of environmental monitoring to a global audience of scientists, researchers, environmental educators, administrators, managers, technicians, students, environmental enthusiasts and the general public. The book consists of a series of sections and chapters addressing topics like the monitoring of heavy metal contaminants in varied environments, biolgical monitoring/ecotoxicological studies; and the use of wireless sensor networks/Geosensor webs in environmental monitoring. 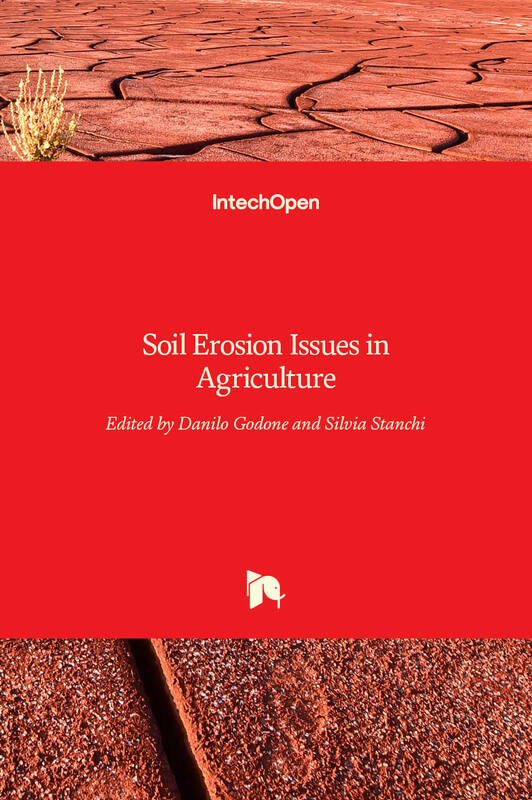 Description / Table of Contents: The book deals with several aspects of soil erosion, focusing on its connection with the agricultural world. Chapters’ topics are various, ranging from irrigation practices to soil nutrient, land use changes or tillage methodologies. The book is subdivided into fourteen chapters, sorted in four sections, grouping different facets of the topic: introductive case studies, erosion management in vineyards, soil erosion issue in dry environments, and erosion control practices. Certainly, due to the extent of the subject, the book is not a comprehensive collection of soil erosion studies, but it aims to supply a sound set of scientific works, concerning the topic. It analyzes different facets of the issue, with various methodologies, and offers a wide series of case studies, solutions, practices, or suggestions to properly face soil erosion and, moreover, may provide new ideas and starting points for future researches. 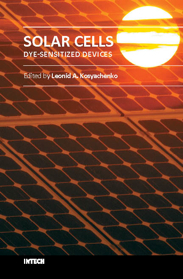 Description / Table of Contents: The second book of the four-volume edition of "Solar cells" is devoted to dye-sensitized solar cells (DSSCs), which are considered to be extremely promising because they are made of low-cost materials with simple inexpensive manufacturing procedures and can be engineered into flexible sheets. DSSCs are emerged as a truly new class of energy conversion devices, which are representatives of the third generation solar technology. Mechanism of conversion of solar energy into electricity in these devices is quite peculiar. The achieved energy conversion efficiency in DSSCs is low, however, it has improved quickly in the last years. It is believed that DSSCs are still at the start of their development stage and will take a worthy place in the large-scale production for the future. Description / Table of Contents: The third book of four-volume edition of 'Solar Cells' is devoted to solar cells based on silicon wafers, i.e., the main material used in today's photovoltaics. 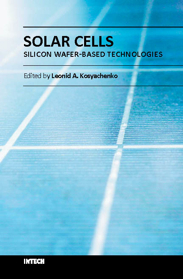 The volume includes the chapters that present new results of research aimed to improve efficiency, to reduce consumption of materials and to lower cost of wafer-based silicon solar cells as well as new methods of research and testing of the devices. Light trapping design in c-Si and mc-Si solar cells, solar-energy conversion as a function of the geometric-concentration factor, design criteria for spacecraft solar arrays are considered in several chapters. A system for the micrometric characterization of solar cells, for identifying the electrical parameters of PV solar generators, a new model for extracting the physical parameters of solar cells, LBIC method for characterization of solar cells, non-idealities in the I-V characteristic of the PV generators are discussed in other chapters of the volume. 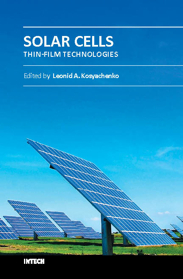 Description / Table of Contents: The first book of this four-volume edition is dedicated to one of the most promising areas of photovoltaics, which has already reached a large-scale production of the second-generation thin-film solar modules and has resulted in building the powerful solar plants in several countries around the world. Thin-film technologies using direct-gap semiconductors such as CIGS and CdTe offer the lowest manufacturing costs and are becoming more prevalent in the industry allowing to improve manufacturability of the production at significantly larger scales than for wafer or ribbon Si modules. It is only a matter of time before thin films like CIGS and CdTe will replace wafer-based silicon solar cells as the dominant photovoltaic technology. Photoelectric efficiency of thin-film solar modules is still far from the theoretical limit. The scientific and technological problems of increasing this key parameter of the solar cell are discussed in several chapters of this volume. Description / Table of Contents: With growing attention on global environmental and climate change, geoscience has experienced rapid change and development in the last three decades. Many new data, methods and modeling techniques have been developed and applied in various aspects of geoscience. 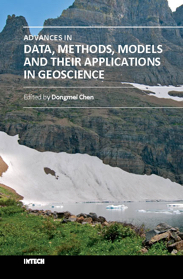 The chapters collected in this book present an excellent profile of the current state of various data, analysis methods and modeling techniques, and demonstrate their applications from hydrology, geology and paleogeomorphology, to geophysics, environmental and climate change. 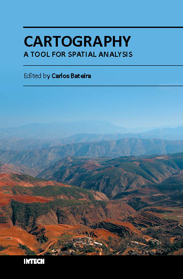 The wide range methods and techniques covered in the book include information systems and technology, global position system (GPS), digital sediment core image analysis, fuzzy set theory for hydrology, spatial interpolation, spectral analysis of geophysical data, GIS-based hydrological models, high resolution geological models, 3D sedimentology, change detection from remote sensing, etc. Besides two comprehensive review articles, most chapters focus on in-depth studies of a particular method or technique. Description / Table of Contents: The x-ray is the only invention that became a regular diagnostic tool in hospitals within a week of its first observation by Roentgen in 1895. Even today, x-rays are a great characterization tool at the hands of scientists working in almost every field, such as medicine, physics, material science, space science, chemistry, archeology, and metallurgy. With vast existing applications of x-rays, it is even more surprising that every day people are finding new applications of x-rays or refining the existing techniques. 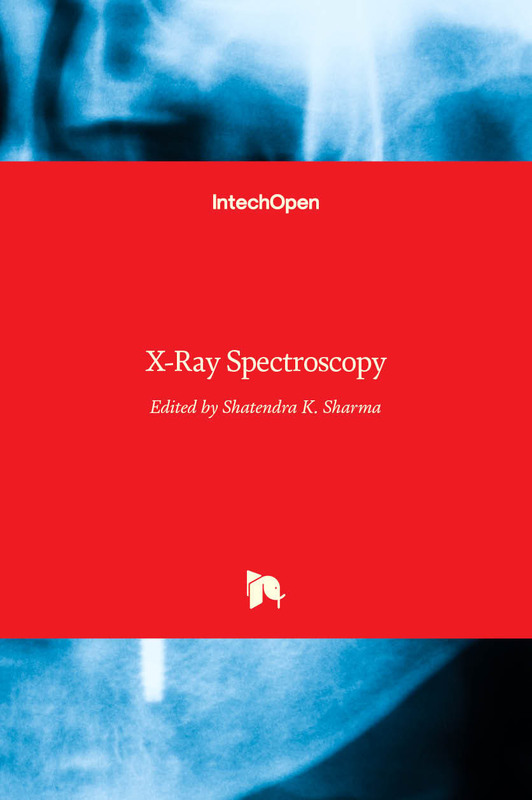 This book consists of selected chapters on the recent applications of x-ray spectroscopy that are of great interest to the scientists and engineers working in the fields of material science, physics, chemistry, astrophysics, astrochemistry, instrumentation, and techniques of x-ray based characterization. The chapters have been grouped into two major sections based upon the techniques and applications. The book covers some basic principles of satellite x-rays as characterization tools for chemical properties and the physics of detectors and x-ray spectrometer. The techniques like EDXRF, WDXRF, EPMA, satellites, micro-beam analysis, particle induced XRF, and matrix effects are discussed. The characterization of thin films and ceramic materials using x-rays is also covered. Description / Table of Contents: Urban flooding is a significant challenge which today increasingly confronts the residents of the expanding cities and towns of developing countries, as well as policymakers and national, regional and local government officials. The Global Handbook presents the state-of-the art in urban flood risk management in a thorough and user-friendly way. It serves as a primer in integrated urban flood risk management for technical specialists, decision-makers and other concerned stakeholders in the private and community sectors. It covers the causes, probability and impacts of floods; the measures that can be used to manage flood risk, balancing structural and non-structural solutions in an integrated fashion; and the means by which these measures can be financed and implemented, and their progress monitored and evaluated. The Handbook provides an operational guide on how most effectively to manage the risk of floods in rapidly urbanizing settings – and within the context of a changing climate. Description / Table of Contents: Urban flooding is a significant challenge which today increasingly confronts the residents of the expanding cities and towns of developing countries, as well as policymakers and national, regional and local government officials. The Global Handbook presents the state-of-the art in urban flood risk management in a thorough and user-friendly way. It serves as a primer in integrated urban flood risk management for technical specialists, decision-makers and other concerned stakeholders in the private and community sectors. It covers the causes, probability and impacts of floods; the measures that can be used to manage flood risk, balancing structural and non-structural solutions in an integrated fashion; and the means by which these measures can be financed and implemented, and their progress monitored and evaluated.The Handbook provides an operational guide on how most effectively to manage the risk of floods in rapidly urbanizing settings â€“ and within the context of a changing climate. Description / Table of Contents: Sediment Transport in Aquatic Environments is a book which covers a wide range of topics. The effective management of many aquatic environments, requires a detailed understanding of sediment dynamics. This has both environmental and economic implications, especially where there is any anthropogenic involvement. Numerical models are often the tool used for predicting the transport and fate of sediment movement in these situations, as they can estimate the various spatial and temporal fluxes. However, the physical sedimentary processes can vary quite considerably depending upon whether the local sediments are fully cohesive, non-cohesive, or a mixture of both types. For this reason for more than half a century, scientists, engineers, hydrologists and mathematicians have all been continuing to conduct research into the many aspects which influence sediment transport. These issues range from processes such as erosion and deposition to how sediment process observations can be applied in sediment transport modeling frameworks. 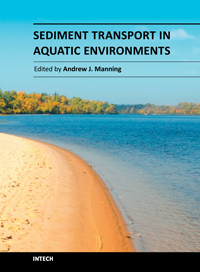 This book reports the findings from recent research in applied sediment transport which has been conducted in a wide range of aquatic environments. The research was carried out by researchers who specialize in the transport of sediments and related issues. I highly recommend this textbook to both scientists and engineers who deal with sediment transport issues. Description / Table of Contents: Soil contamination has severely increased over the last decades, mainly due to petroleum hydrocarbons, solvents, pesticides, lead and other heavy metals from industrial wastes and human activities. The critical point regarding contaminated soil monitoring is the intrinsic difficulty in defining fixed monitoring variables and indicators as the establishment of any a priori criterion and threshold for soil quality can be still considered subjective. 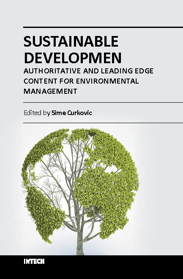 This book is organized into eight chapters and presents the state-of-the art and new research highlights in the context of contaminated soil monitoring and remediation strategies, including examples from South America, Europe and Asia. The chapters deal with the following topics: - monitoring of dioxin, furan, hydrocarbons and heavy metals level in soils - bioindicators and biomarkers for the assessment of soil toxicity - use of reflectance spectroscopy for soil contaminants and waste material detection - remediation technologies and strategies. 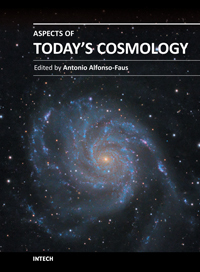 Description / Table of Contents: This book presents some aspects of the cosmological scientific odyssey that started last century. The chapters vary with different particular works, giving a versatile picture. It is the result of the work of many scientists in the field of cosmology, in accordance with their expertise and particular interests. Is a collection of different research papers produced by important scientists in the field of cosmology. A sample of the great deal of efforts made by the scientific community, trying to understand our universe. And it has many challenging subjects, like the possible doomsday to be confirmed by the next decade of experimentation. May be we are now half way in the life of the universe. Many more challenging subjects are not present here: they will be the result of further future work. Among them, we have the possibility of cyclic universes, and the evidence for the existence of a previous universe. Description / Table of Contents: Biomass has been an intimate companion of humans from the dawn of civilization to the present. Its use as food, energy source, body cover and as construction material established the key areas of biomass usage that extend to this day. 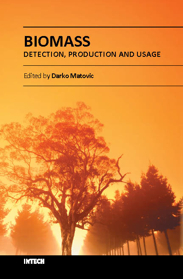 Given the complexities of biomass as a source of multiple end products, this volume sheds new light to the whole spectrum of biomass related topics by highlighting the new and reviewing the existing methods of its detection, production and usage. We hope that the readers will find valuable information and exciting new material in its chapters. Description / Table of Contents: Ocean closure involves a variety of converging tectonic processes that reshape shrinking basins, their adjacent margins and the entire earth underneath. Following continental breakup, margin formation and sediment accumulation, tectonics normally relaxes and the margins become passive for millions of years. However, when final convergence is at the gate, the passive days of any ocean and its margins are over or soon will be. The fate of the Mediterranean and Persian Gulf is seemingly known beforehand, as they are nestled in the midst of Africa-Arabia plate convergence with Eurasia. Over millions of years through the Cenozoic era they progressively shriveled, leaving only a glimpse of the Tethys Ocean. Eventually, the basins will adhere to the Alpine-Himalaya orogen and dissipate. This book focuses on a unique stage in the ocean closure process, when significant convergence already induced major deformations, yet the inter-plate basins and margins still record the geological history. Description / Table of Contents: The atmosphere may be our most precious resource. Accordingly, the balance between its use and protection is a high priority for our civilization. While many of us would consider air pollution to be an issue that the modern world has resolved to a greater extent, it still appears to have considerable influence on the global environment. In many countries with ambitious economic growth targets the acceptable levels of air pollution have been transgressed. Serious respiratory disease related problems have been identified with both indoor and outdoor pollution throughout the world. 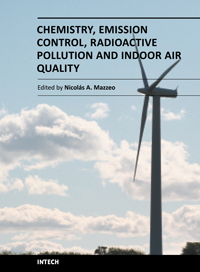 The 25 chapters of this book deal with several air pollution issues grouped into the following sections: a) air pollution chemistry; b) air pollutant emission control; c) radioactive pollution and d) indoor air quality. Description / Table of Contents: Human beings need to breathe oxygen diluted in certain quantity of inert gas for living. In the atmosphere, there is a gas mixture of, mainly, oxygen and nitrogen, in appropriate proportions. However, the air also contains other gases, vapours and aerosols that humans incorporate when breathing and whose composition and concentration vary spatially. Some of these are physiologically inert. Air pollution has become a problem of major concern in the last few decades as it has caused negative effects on human health, nature and properties. 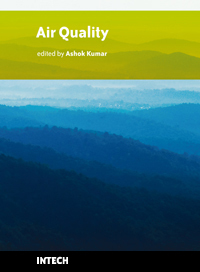 This book presents the results of research studies carried out by international researchers in seventeen chapters which can be grouped into two main sections: a) air quality monitoring and b) air quality assessment and management, and serves as a source of material for all those involved in the field, whether as a student, scientific researcher, industrialist, consultant, or government agency with responsibility in this area. Description / Table of Contents: Air pollution has been a major transboundary problem and a matter of global concern for decades. High concentrations of different air pollutants are particularly harmful to large cities residents, where numerous anthropogenic activities strongly influence the quality of air. Although there are many books on the subject, the one in front of you will hopefully fulfill some of the gaps in the area of air quality monitoring and modeling, and be of help to graduate students, professionals and researchers. 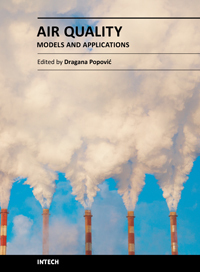 The book is divided in five sections, dealing with mathematical models and computing techniques used in air pollution monitoring and forecasting; air pollution models and application; measuring methodologies in air pollution monitoring and control; experimental data on urban air pollution in China, Egypt, Northeastern U.S, Brazil and Romania; and finally, the health effects due to exposure to benzene, and on the influence of air pollutants on the acute respiratory diseases in children in Mexico. 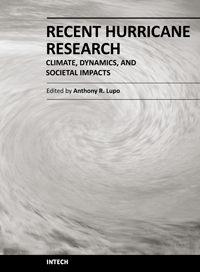 Description / Table of Contents: This book represents recent research on tropical cyclones and their impact, and a wide range of topics are covered. An updated global climatology is presented, including the global occurrence of tropical cyclones and the terrestrial factors that may contribute to the variability and long-term trends in their occurrence. Research also examines long term trends in tropical cyclone occurrences and intensity as related to solar activity, while other research discusses the impact climate change may have on these storms. The dynamics and structure of tropical cyclones are studied, with traditional diagnostics employed to examine these as well as more modern approaches in examining their thermodynamics. The book aptly demonstrates how new research into short-range forecasting of tropical cyclone tracks and intensities using satellite information has led to significant improvements. In looking at societal and ecological risks, and damage assessment, authors investigate the use of technology for anticipating, and later evaluating, the amount of damage that is done to human society, watersheds, and forests by land-falling storms. The economic and ecological vulnerability of coastal regions are also studied and are supported by case studies which examine the potential hazards related to the evacuation of populated areas, including medical facilities. These studies provide decision makers with a potential basis for developing improved evacuation techniques. Description / Table of Contents: Air pollution is about five decades or so old field and continues to be a global concern. Therefore, the governments around the world are involved in managing air quality in their countries for the welfare of their citizens. The management of air pollution involves understanding air pollution sources, monitoring of contaminants, modeling air quality, performing laboratory experiments, the use of satellite images for quantifying air quality levels, indoor air pollution, and elimination of contaminants through control. Research activities are being performed on every aspect of air pollution throughout the world, in order to respond to public concerns. The book is grouped in five different sections. Some topics are more detailed than others. The readers should be aware that multi-authored books have difficulty maintaining consistency. A reader will find, however, that each chapter is intellectually stimulating. Our goal was to provide current information and present a reasonable analysis of air quality data compiled by knowledgeable professionals in the field of air pollution. Geological Society (London, U.K.) ; Terry, James P. ; Goff, James R.
Description / Table of Contents: Even a cursory glance at any map of the Asia–Pacific region makes a striking impression: in addition to the large continental landmass the region encompasses a truly vast expanse of ocean, dispersed over which are thousands of islands. Many might say that it could not be a worse time to live in this region. In the past few years we have experienced not only a number of devastating tsunamis (Indonesia, Solomon Islands, Samoa, Japan), but should not forget either the seemingly endless list of other natural hazards such as tropical cyclones and typhoons, volcanic eruptions, river floods and wildfires, amongst numerous others. This Special Publication represents an important collection of both conceptual and first-hand field investigations across the Asia–Pacific region. 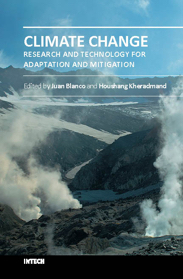 By highlighting some of the recent advances and emerging ideas in natural hazards research, the volume draws together these disparate lines of evidence into a clear regional focus. Description / Table of Contents: Today science is moving in the direction of synthesis of the achievements of various academic disciplines. The idea to prepare and present to the international academic milieu, a multidimensional approach to globalization phenomenon is an ambitious undertaking. 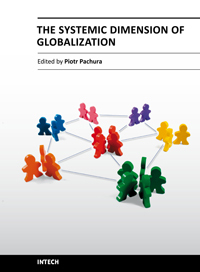 The book The Systemic Dimension of Globalization consists of 14 chapters divided into three sections: Globalization and Complex Systems; Globalization and Social Systems; Globalization and Natural Systems. The Authors of respective chapters represent a great diversity of disciplines and methodological approaches as well as a variety of academic culture. This is the value of this book and this merit will be appreciated by a global community of scholars. 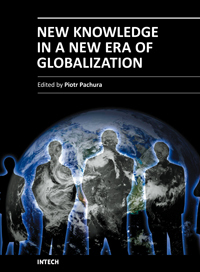 Description / Table of Contents: This is a collective volume on present-day globalisation with nine chapters from authors of several academic disciplines. 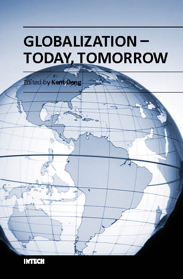 It covers wide aspects, ranging from the nature, impact, challenges and implications of globalisation to responses from a country or community when facing globalisation today or tomorrow. Policy suggestions are also made. This book will hence help the reader to understand the currently debated issues. Description / Table of Contents: To better understand the contemporary world, the world of innovation and technology, science should try to synthesize and assimilate social science in the development of our civilization. Does the new era require new knowledge? Does the age of globalization demand new education, new human attitudes? This books tries to clarify these questions. The book New Knowledge in a New Era of Globalization consists of 16 chapters divided into three sections: Globalization and Education; Globalization and Human Being; Globalization and Space. The Authors of respective chapters represent a great diversity of disciplines and methodological approaches as well as a variety of academic culture. This book is a valuable contribution and it will certainly be appreciated by a global community of scholars. Geological Society (London, U.K.) ; Shepley, Martin G. ; Whiteman, Mark I. ; [et al.] Hulme, Paul J. ; Grout, Mark W.
Description / Table of Contents: The UK is a country with over 150 years of widespread exploitation of its principal aquifers for public water supply. Increasing demands, greater awareness of environmental pressures and more exacting legislation has heightened the need for quantitative models to predict the impacts of groundwater use. In the UK this has culminated in a unique national, regulator-led programme for England and Wales to develop conceptual and numerical models of the principal bedrock aquifers. The outcomes of this programme will be of interest to the international hydrogeological community, particularly as international legislation such as the European Water Framework Directive requires management of water issues across administrative boundaries with a varied cast of stakeholders. The collection of papers provides a contrast between practitioner- and research-based approaches to assess and predict the anthropogenic impacts and environmental pressures. Many insights are provided on how the regular use of groundwater models may address the environmental challenges of the future. Description / Table of Contents: Phenology, a study of animal and plant life cycle, is one of the most obvious and direct phenomena on our planet. The timing of phenological events provides vital information for climate change investigation, natural resource management, carbon sequence analysis, and crop and forest growth monitoring. This book summarizes recent progresses in the understanding of seasonal variation in animals and plants and its correlations to climate variables. 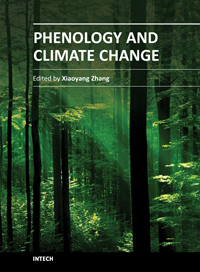 With the contributions of phenological scientists worldwide, this book is subdivided into sixteen chapters and sorted in four parts: animal life cycle, plant seasonality, phenology in fruit plants, and remote sensing phenology. The chapters of this book offer a broad overview of phenology observations and climate impacts. Hopefully this book will stimulate further developments in relation to phenology monitoring, modeling and predicting. Description / Table of Contents: This book reports on recent applications in biology and geoscience. Among them we mention the application of wavelet transforms in the treatment of EEG signals, the dimensionality reduction of the gait recognition framework, the biometric identification and verification. The book also contains applications of the wavelet transforms in the analysis of data collected from sport and breast cancer. The denoting procedure is analyzed within wavelet transform and applied on data coming from real world applications. 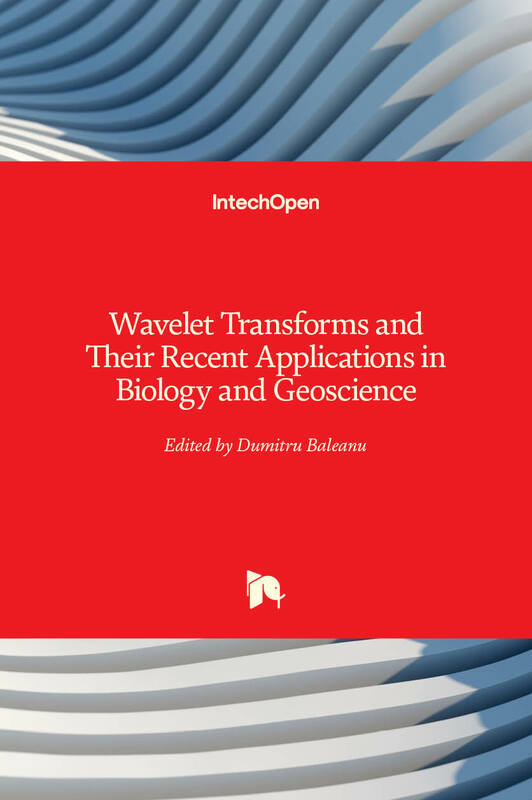 The book ends with two important applications of the wavelet transforms in geoscience. Savage, M. ; Rhoades, D. A. ; Smith, E. G. C. ; [et al.] Gerstenberger, M. C. ; Vere-Jones, D.
Description / Table of Contents: This special issue of Pure and Applied Geophysics is the second of two volumes containing an augmented collection of papers originating from the Evison Symposium on Seismogenesis and Earthquake Forecasting held in Wellington, New Zealand, in February 2008. The volumes honor Frank Evison's interest in earthquake generation and forecasting. This volume includes descriptions of earthquake forecasting test centers through the Collaboratory for the Study of Earthquake Predictability (CSEP) program and the first results from the Regional Earthquake Likelihood Model (RELM) experiment in California. Other papers discuss methods of testing predictions, in particular by the use of error diagrams. There is discussion of prediction methodologies using seismicity, including an application of the statistical technique of Hidden Markov Models to identify changes in seismicity and a new technique for identifying precursory quiescence. Several papers employ other data besides seismicity, such as geologically determined faults, calculations of stress changes via Coulomb stress modeling, tomographically determined velocity structure, groundwater, crustal deformation, and comparisons of real earthquakes to synthetic seismicity determined from hypothesized earthquake physics. One paper focuses on the prediction of human casualties in the event that a large earthquake occurs anywhere on the globe. The volume will be useful to students and professional researchers who are interested in the earthquake preparation process and in converting that understanding into forecasts of earthquake occurrence. Panza, G. F. ; Irikura, K. ; Kouteva-Guentcheva, M. ; [et al.] Peresan, A. ; Wang, Z. ; Saragoni, R.
Description / Table of Contents: Issues pertaining to urban risks are a pressing concern for those involved in disasters mitigation. Development of effective mitigation strategies requires sound seismic hazard information that is commonly derived through a seismic hazard assessment (SHA). The purpose of SHA is to provide a scientifically consistent estimate of seismic hazard for engineering design and other considerations. The time is ripe to move beyond the old paradigms of the traditional Probabilistic Seismic Hazard Analysis (PSHA). This two-part volume advocates advanced methods for SHA that utilize up to date earthquake science and basic scientific principles to derive the seismic hazard in terms of a ground motion or related quantity and its occurrence frequency at a site, as well as the associated uncertainty. It aims to: 1) identify the issues in the current SHAs, 2) facilitate the development of a scientifically consistent approach for SHA and 3) disseminate, both in scientific and in engineering practice societies, advanced reliable tools for independent hazard estimates, like NDSHA (neo-deterministic SHA), which incorporates physically based ground motion models. It provides a fresh approach to seismic hazard analysis. Part 2 provides advanced SHA case studies, concerning regional national and metropolitan estimates for different parts of the world, including Asia, Europe, North and South America. It is addressed to seismologists, engineers and stake-holders, and aims to contribute to bridging between modern interdisciplinary research and practitioners. Satake, K. ; Institute of Ocean Sciences, P.D.A.R. ; Kânoğlu, U. ; [et al.] Tinti, S.
Description / Table of Contents: The Tsunami from the 1960 Chilean earthquake affected the entire Pacific Ocean and motivated the international coordination on tsunami research and warning systems around the Pacific. However, the 2004 Indian Ocean tsunami affected the entire world, and reminded that tsunamis are not a local or regional problem but a global issue. This volume contains 18 papers, mostly presented at the 24th International Tsunami Symposium held in 14-16 July 2009. They reflect the current state of tsunami science, including case studies of earthquake-generated tsunamis, tsunami forecasting and hazard assessments, and theoretical and computational modeling of tsunami generation, propagation and coastal behavior. Description / Table of Contents: Recent major earthquakes around the world have shown the vulnerability of infrastructure and the need for research to better understand the nature of seismic events and their effects on structures. As a result, earthquake engineering research has been expanding as more and more data become available from a large array of seismic instruments, large scale experiments and numerical simulations. 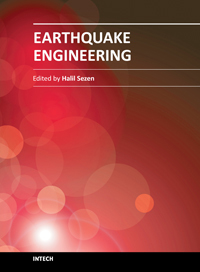 The first part of this book presents results from some of the current seismic research work including three-dimensional wave propagation in different soil media, seismic loss assessment, probabilistic hazard analysis, geotechnical problems including soil-structure interaction. The second part of the book focuses on the seismic behavior of structures including historical and monumental structures, bridge embankments, and different types of bridges and bearings. Description / Table of Contents: The terrestrial space is the place of interaction of natural and social systems. The cartography is an essential tool to understand the complexity of these systems, their interaction and evolution. This brings the cartography to an important place in the modern world. The book presents several contributions at different areas and activities showing the importance of the cartography to the perception and organization of the territory. Learning with the past or understanding the present the use of cartography is presented as a way of looking to almost all themes of the knowledge. 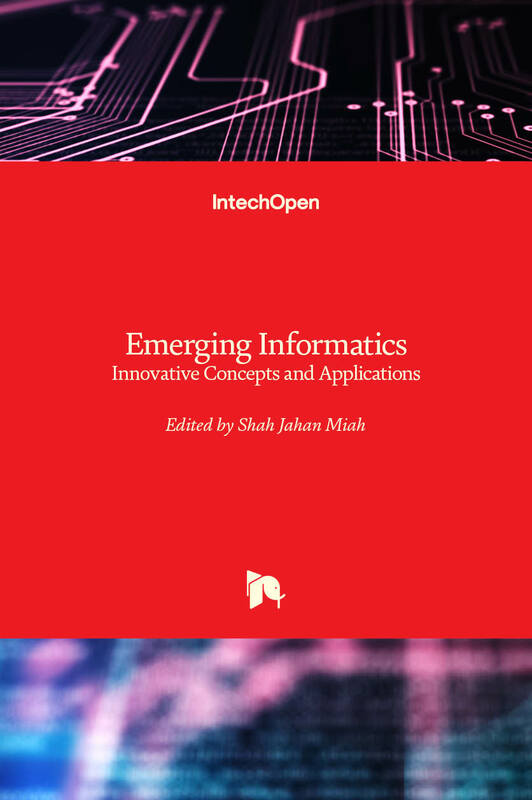 Description / Table of Contents: The book on emerging informatics brings together the new concepts and applications that will help define and outline problem solving methods and features in designing business and human systems. It covers international aspects of information systems design in which many relevant technologies are introduced for the welfare of human and business systems. This initiative can be viewed as an emergent area of informatics that helps better conceptualise and design new world-class solutions. The book provides four flexible sections that accommodate total of fourteen chapters. The section specifies learning contexts in emerging fields. Each chapter presents a clear basis through the problem conception and its applicable technological solutions. I hope this will help further exploration of knowledge in the informatics discipline. Description / Table of Contents: Energy efficiency is finally a common sense term. Nowadays almost everyone knows that using energy more efficiently saves money, reduces the emissions of greenhouse gasses and lowers dependence on imported fossil fuels. We are living in a fossil age at the peak of its strength. Competition for securing resources for fuelling economic development is increasing, price of fuels will increase while availability of would gradually decline. Small nations will be first to suffer if caught unprepared in the midst of the struggle for resources among the large players. Here it is where energy efficiency has a potential to lead toward the natural next step - transition away from imported fossil fuels! Someone said that the only thing more harmful then fossil fuel is fossilized thinking. 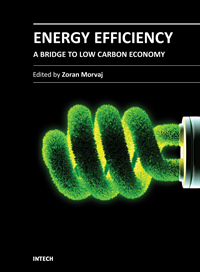 It is our sincere hope that some of chapters in this book will influence you to take a fresh look at the transition to low carbon economy and the role that energy efficiency can play in that process. Description / Table of Contents: Landscape architecture is the design of outdoor and public spaces to achieve environmental, socio-behavioral, and/or aesthetic outcomes. It involves the systematic investigation of existing social, ecological, and geological conditions and processes in the landscape, and the design of interventions that will produce the desired outcome. The scope of the profession includes: urban design; site planning; town or urban planning; environmental restoration; parks and recreation planning; visual resource management; green infrastructure planning and provision; and private estate and residence landscape master planning and design - all at varying scales of design, planning and management. 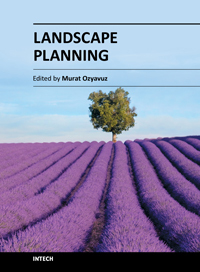 This book contains chapters on recent developments in studies of landscape architecture. For this reason I believe the book would be useful to the relevant professional disciplines. 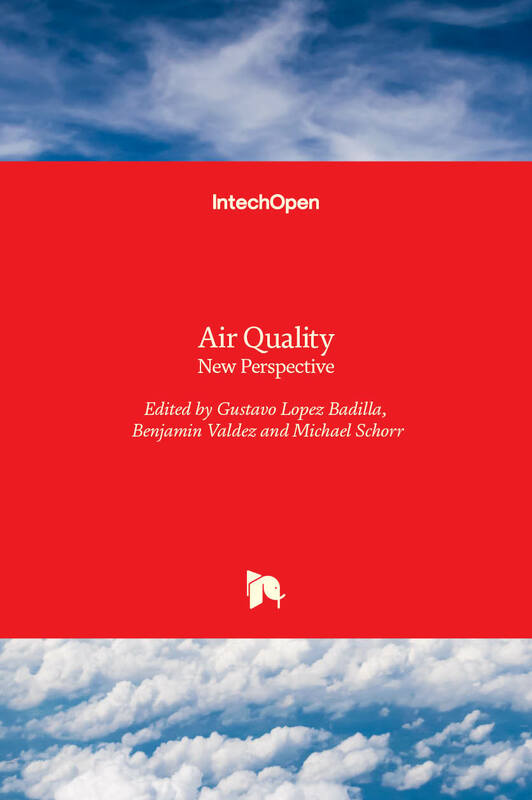 Description / Table of Contents: This book contains 15 chapters reporting air pollution of interest to experts in academia and industrial plants dealing with the environmental issues. These chapters emphasize the problems of air pollution involving the human sector as an essential part in the control of air pollutants. The book contains an analysis of various geographic regions and evaluation of different activities related to these areas. Descriptive analyzes present the generation of air pollution and its effect on society and materials evaluations. The major sources of emission of pollutants and the damage that they originate in the towns and industrial plants are reported. 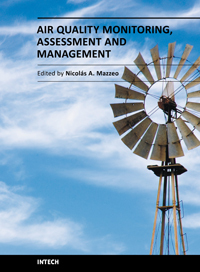 This volume provides methods and tools for assessment according to each location. Other important aspects are the activities of governmental authorities, the academic and sectors for solving the environment problem. Description / Table of Contents: The World Commission on Environment and Development defines sustainable development as "development that meets the needs of the present without compromising the ability of future generations to meet their own needs." Sustainability implies efforts directed towards preserving the environment, doing more with less (cost savings, profit increasing), reducing dependence on foreign resources including oil, using alternate forms of energy, etc. Researchers are currently working to meet the challenge (e.g., through creating a conducive environment and allocating resources for sustainability-focused curriculum renovations, equipping faculty with the necessary expertise, embedding graduates with requisite skill-sets, and a research base that feeds into classroom teaching, etc.) posed by the rapidly evolving landscape of sustainability. In order to address the sustainability deficit in education and research, InTech has invited submissions of manuscripts for publication in its focused issue on sustainability. All chapters are high-quality, high-impact manuscripts addressing integration of sustainability efforts with clear lessons and insights for the stake holders (faculty, students, administrators, communities, and industries).